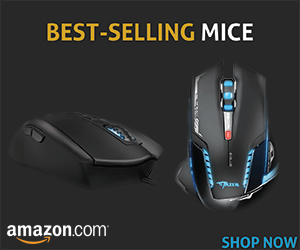 Gaming mice usually have two types. One is programmable and the other is non-programmable. Non-programmable mice are Plug and play type with a pre-defined set of functionalities that every button on mice can perform. On the other hand, in a programmable mouse, you have the options to configure settings as per your requirements. You can assign a function of the mouse button as per your requirements. However, to this, you will have to install the software and drivers that come with the mouse and carefully read the instructions given in the manual. 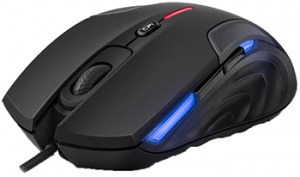 The Sentey Nebulus GS-3511 Elite gamer series mouse is a programmable mouse that lets you program each button as per your requirements. And, if you want to assign functionality to mouse buttons that replace the default function, you can do that too. You can set up to 5 profiles and pick the one when playing it. However, while doing so, you must know what you are doing otherwise results can be weird. Often professional gamers who love to play games like Rimworld, Borderland, etc. love to assign special functions to the mouse to achieve targets. 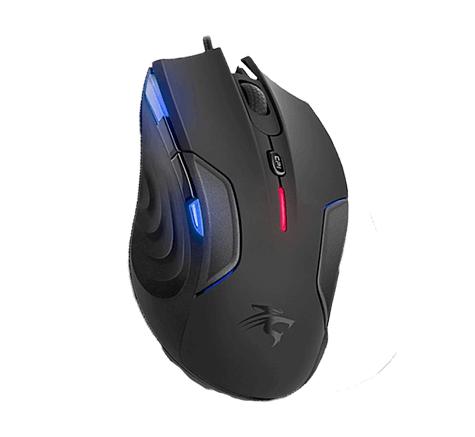 Professional Games do know what they are doing, but for a starter, a programmable mouse is not the best choice unless you are techy. In addition to being a programmable mouse, it has all functionalities that all gamers would love to have a mouse. It has 6 buttons including DPI switcher, scroll wheel, left, right, page up, and page down. You are also getting a thumb rest so that your journey of playing games will go for hours and when you leave the PC you do not need to stretch your thumb. Also, to improve the sensitivity of the Sentey Nebulus GS-3511 on every click, there is a DPI switcher button at the top. This button supports DPI from 400 to 3200, which means you have enough room to set the sensitivity from game to game. In my opinion, the Sentey Nebulus GS-3511 is the best wireless gaming mouse on the market right now. It looks beautiful with LED lights, and its design is comfortable to fit in your palm. It is good for everyone from a young adult to a mature man or a woman. As far as its weight is concerned, it has perfect weight for playing games every day. But if you feel it weights is more there is no need to worry about that because it has weight adjustment option at its bottom. Just open the weight panel and set it as per your needs.